Philosophy – a Path to Happy Life or Unemployment? How to Study Philosophy and Get a Job? Many of you are probably very skeptical about humanities in general, let alone philosophy. It is a common sentiment, and it is not ungrounded. However, in this article I would like to explore the benefits of pursuing a degree in philosophy. Philosophy is more in demand now than it was just 10 years ago. Try not to stick to stereotypes, but do your own research before making such an important decision regarding your education. Your goal here is not to please your family, but to make an informed choice that you are not going to regret. 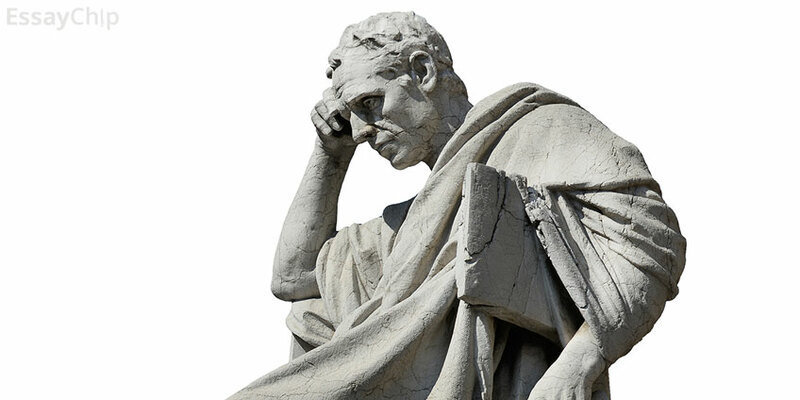 Philosophy, surprisingly, offers many career opportunities that are traditionally attributed to other disciplines. So, how do you choose this fascinating subject and not end up being unemployed? It is true that with philosophy it is going to be harder to get a job than with science education. Nonetheless, there are many humanities jobs out there that can provide a decent medium income for you if you play your cards right. With philosophy you will get to think analytically and critically, which is an indispensable skill in the modern world. You can work in a think tank or in a consulting firm with this capability. However, you will also need to obtain profound knowledge not just of philosophical concepts, but also of politics, business, education or whatever sphere you choose. Moreover, in philosophy you get to research and write a ton, which ameliorates your language skills as well as data gathering expertise. Collecting the right type of information requires experience in determining what best underscores your argument and, of course, sifting through faulty facts. It is an integral skill in almost any modern profession. Writing is a laudable skill in many content writing, copywriting and technical writing jobs. If you learn how to structure your writing, you will have a high chance of getting a job in those fields. Whatever your career aspiration, philosophy provides the foundation to build upon if you are not lazy. If you want to work in business sphere, you might consider taking it as a minor or applying for internships and coops. If you want to become a writer, do not discard the possibility of a minor in English or some additional courses and certifications. Of course, it is going to make your university life much harder and less social, but it will be worth it when you land your first job after graduation. Philosophy is a risky choice and taking a different minor can not only strengthen your candidacy, but also provide a backup in case of failure. Very often you would have to work in a multicultural environment. The world is one global village now, so speaking a foreign language can really make you stand out. It shows that you are open to other cultures and globalization in general. Here I would suggest you taking internships abroad if it is possible or even spending a semester in a foreign country. Moreover, even if you do not work in a multicultural environment, a foreign language can be a back-up plan for you as in the end you can also become a teacher or a translator. Very often philosophers are needed in ethics-related jobs in medical, educational and political spheres. Here your presentation and debating skills can really come in handy. Modern universities engage students in burning discussions which emboldens their young minds. Being bold and confident during the interview very often is more important than having a reasonable degree. Do not mumble; be proud of your accomplishments in the field. In the end, what matters is not how much you learned, but how fast you can learn something new.